Every time I try to download the application, I am being told that I need to install it to a path that ends in library, which I do not know how to find. 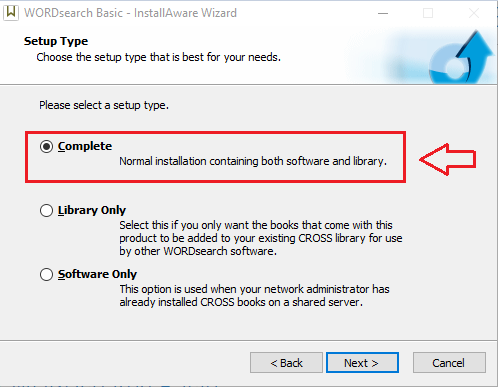 This happens when you're selecting the Library Only in the installation menu or WORDsearch Basic. Click the Complete option and then continue with the operation and the software will install as a single product fully functional or based on the terms provided by the developers. Is Wordsearch Basic compatible with Window 10?